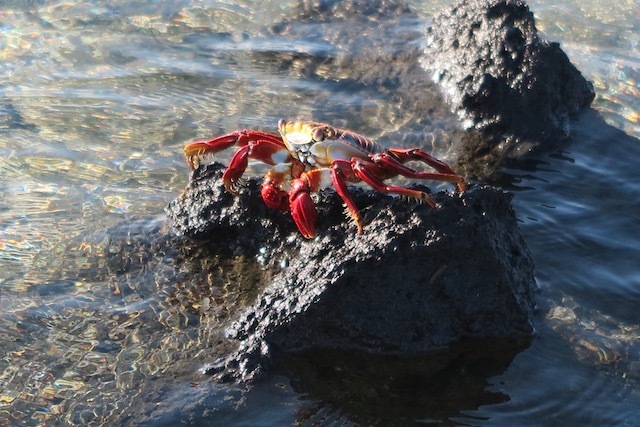 All the documentaries I’d seen on the Galapagos Islands inferred that it’s one of the foremost wildlife experiences on the planet. Friends and family members who had travelled there only reinforced this. 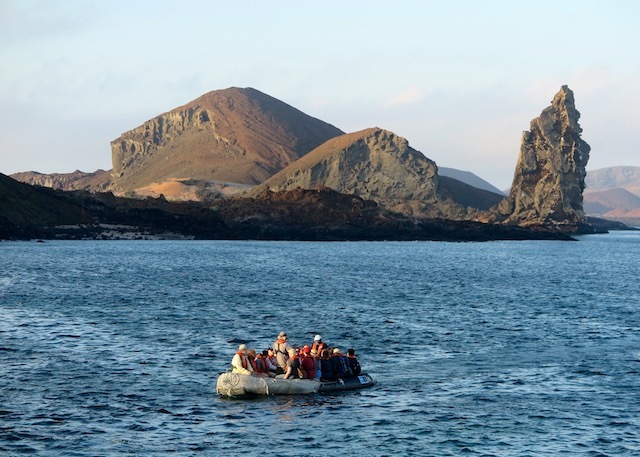 It was time to experience these famous islands for myself so, along with my family and some friends, we took at Galapagos cruise, joining National Geographic Lindblad’s Islander, an expedition ship with a capacity of just 48 guests. 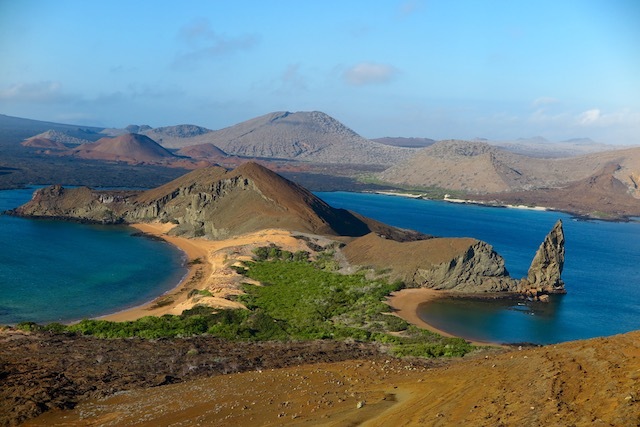 These isolated volcanic islands are a province of Equador, lying about 1,000kms off its coast. Whichever way you come at it, it’s a haul. 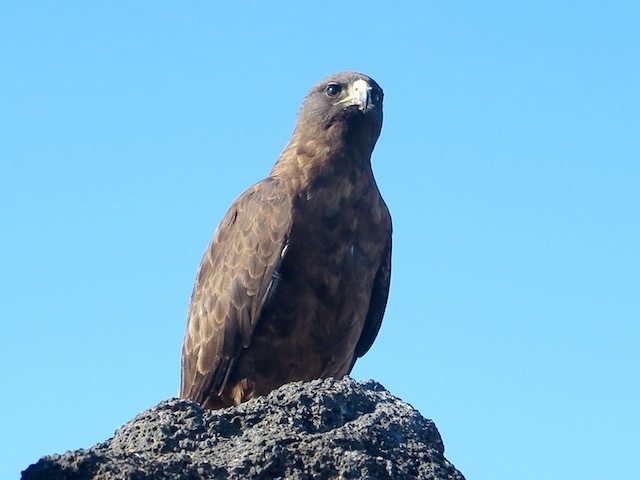 From Guayaquil, Ecuador, we fly to Baltra Island, board the ship and before too long, head off on our first adventure – North Seymour Island via zodiac. 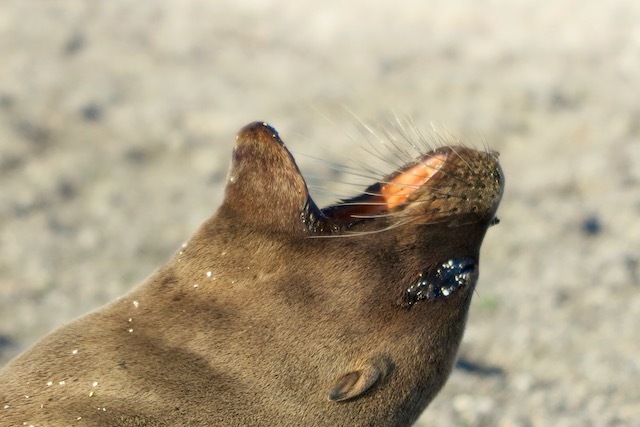 The wildlife’s impact on us is strong and immediate. 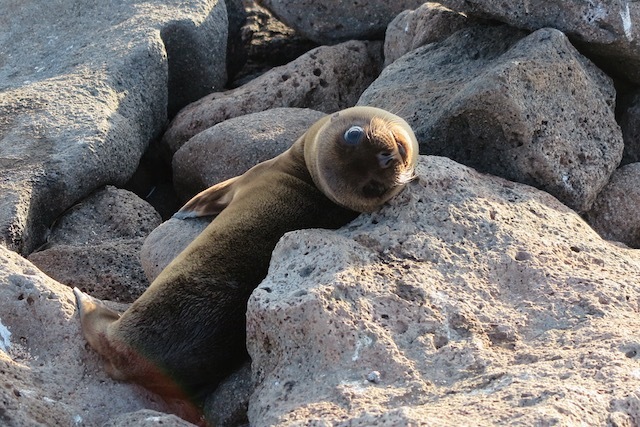 Just minutes after hitting the shore, a blue-footed booby poses for us on a rock, fur seal pups bask in the sun, land iguana’s are everywhere and we see dozens of bird species – too many to name. 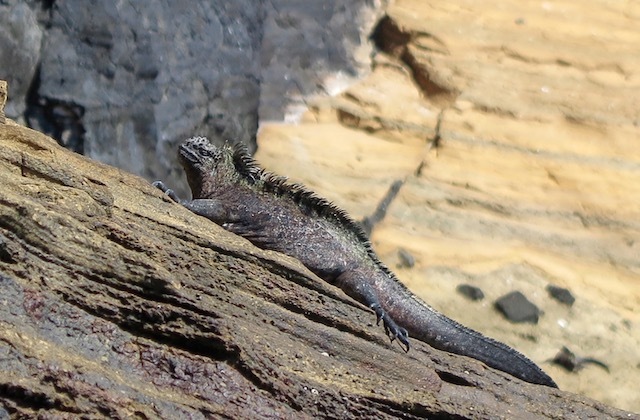 Special mention to the frigate male with its red chest puffing out to attract a female! 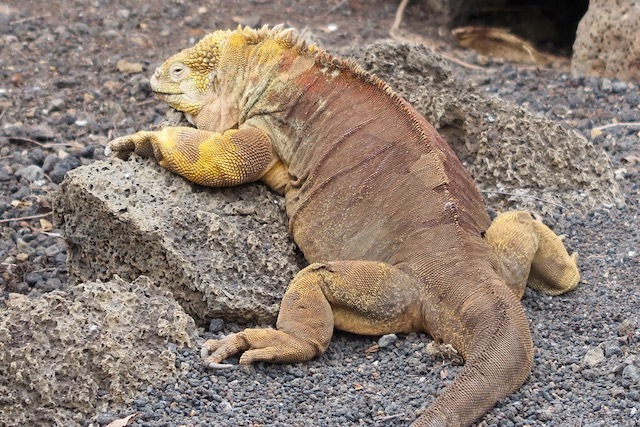 There’s a general rule on the Galapagos that tourists are not allowed within 6 feet of the wildlife. Problem is, the wildlife didn’t get the memo and doesn’t abide by the rule so expect to get close … real close … to many different and extraordinary species. Over the week we snorkel, trek, paddle and witness the very best this archipelago has to offer. The list of wildlife we see first hand is extensive and brings with it the best possible boasting rights! There is no single highlight to mention – every activity or viewing brought its own wow factor. We couldn’t fault any aspect of the cruise either. The staff’s knowledge, enthusiasm, and willingness to assist were simply outstanding. 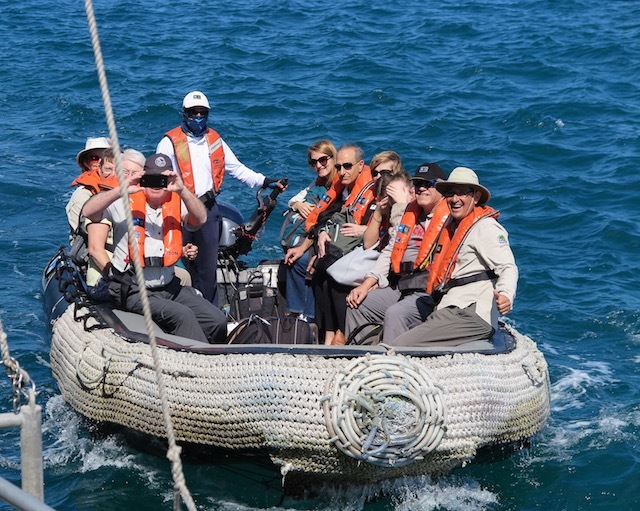 A real plus was their genuine passion for conservation and that care-factor can’t help but rub off on you. The food on board is varied, healthy and good quality. Our basic level cabin was more than comfortable. The activities, the planning, overall organisation and logistics all worked seamlessly. 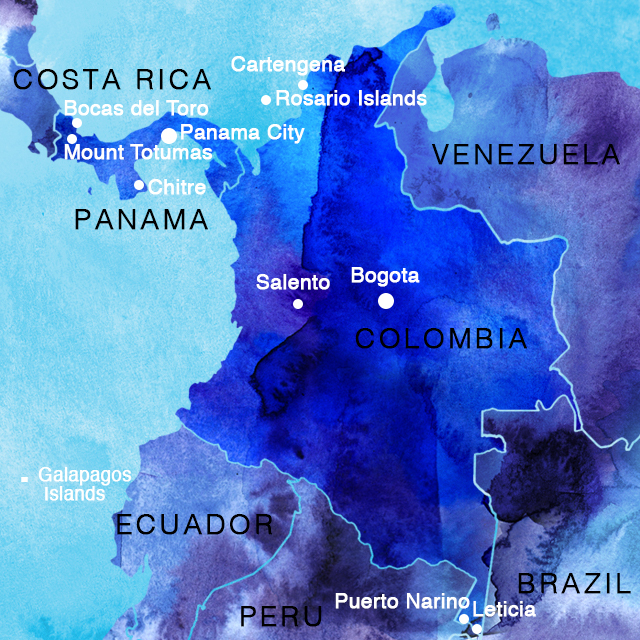 I could go on and on… and on… but the best thing to do is to go see this special part of the world for yourself. 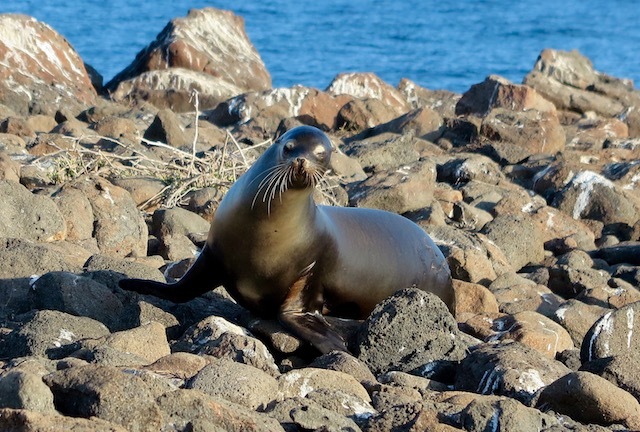 The Galapagos Islands is one of the greatest places on the planet to get your fix of wildlife. Just remember the 6 feet rule – even if the wildlife doesn’t! 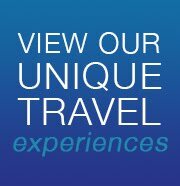 Blue Dot Travel is an authorised agent for Lindblad Expeditions - National Geographic and can book you on any one of their Galapagos Islands tours or other itineraries. Click here for details. 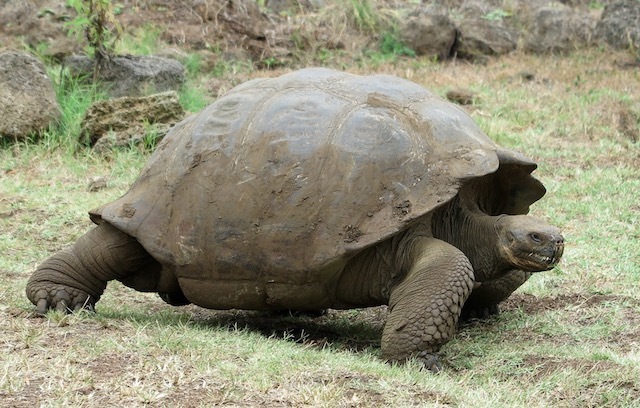 Easy does it for this old tortoise - who could be a century old! Want to see unusual critters? 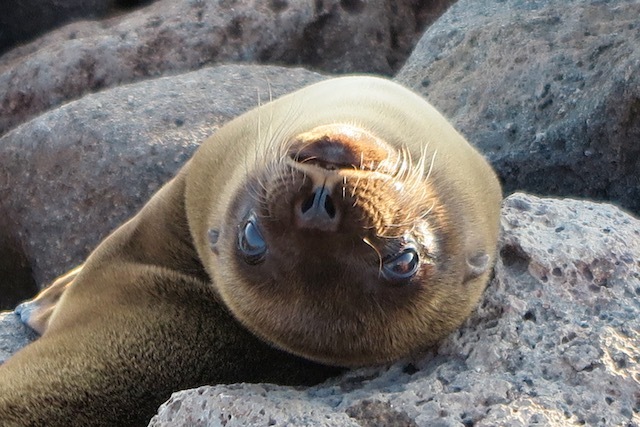 Galapagos is the place! Lots of seals and sea lions to be spotted too - hard to get isn't in their vocab! 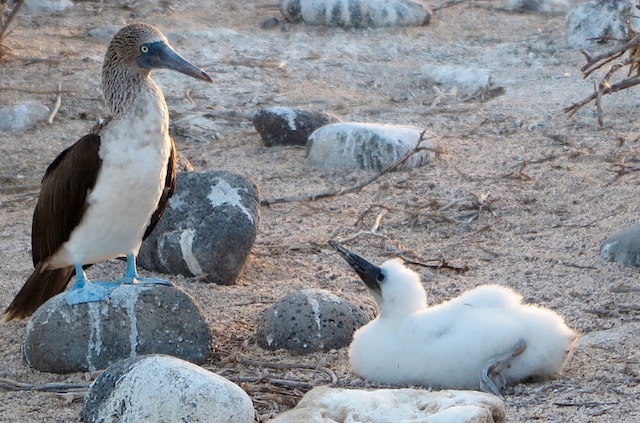 The famouse blue-footed booby - not to be confused with the red-footed equivalent! 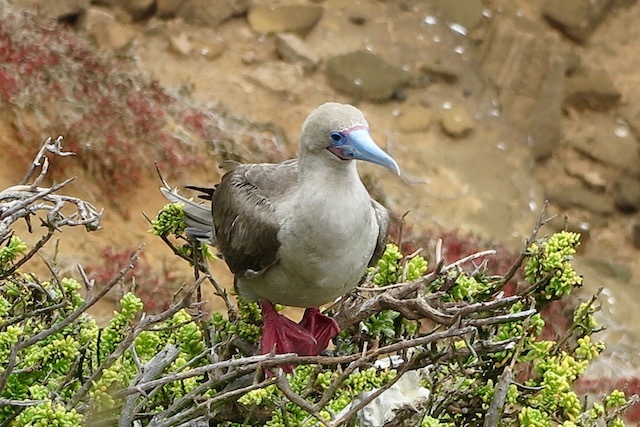 Told you the red-footed booby was different to the blue-fotted one!